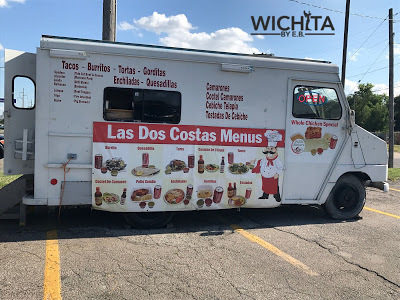 Food Truck: Las Dos Costas Review – Wichita By E.B. 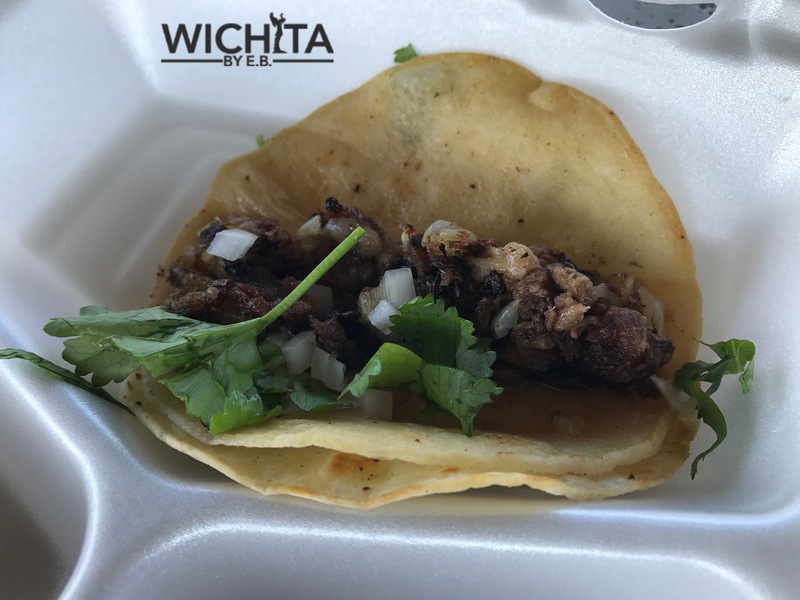 In my never-ending travels around Wichita, my next stop brings me to a food truck that can be found at 28th and Broadway. It’s a white truck seen right off Broadway in direct line with the other numerous Mexican options to be had in the neighborhood. With no active Facebook page or website or even a phone number to go off of, it was pure random chance I was able to get some tacos in before they closed early on a Wednesday afternoon. Las Dos Costas serves tortas, toastadas, burritos, quesadillas, enchiladas, gorditas and even ceviche. Having seen their name listed on the vendors for Wichita Taco Fest, I set out to find this truck and try their tacos. After being told, they were out of tripa and buche, I settled on suadero, al pastor, asada and lenqua. There was a tent located to the east of the truck with chairs so I decided to eat there. That gave me a chance to speak to the owner of the truck. I could tell she was an extremely hard worker; someone who put in long hours to support her family. I truly admired her work ethic. After trying the tacos, I admired her work even more. 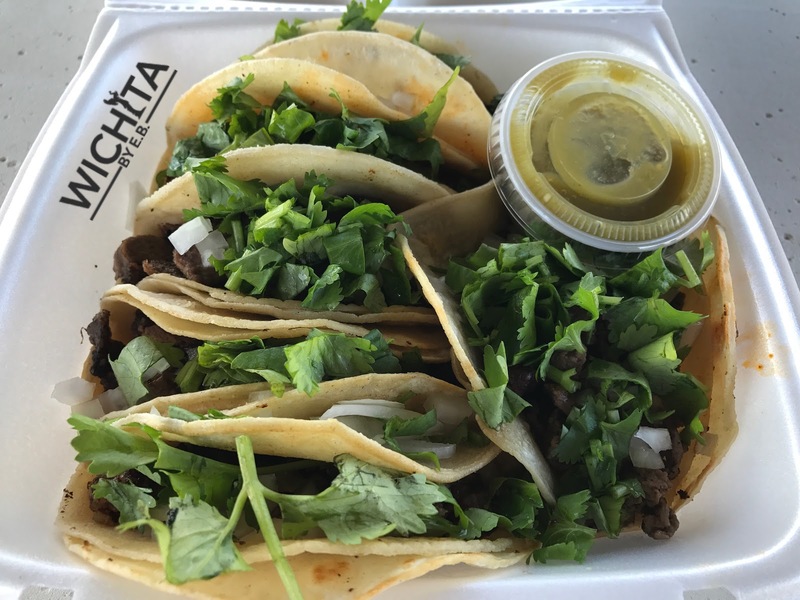 In all honesty, I felt these tacos were better than the ones had Casa Del Charro, the restaurant that won Taco Fest. 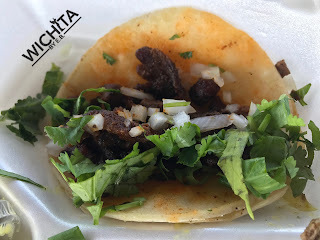 The lenqua (cow tongue) and saudero (thin cut beef and onions) was my favorite; very tender. 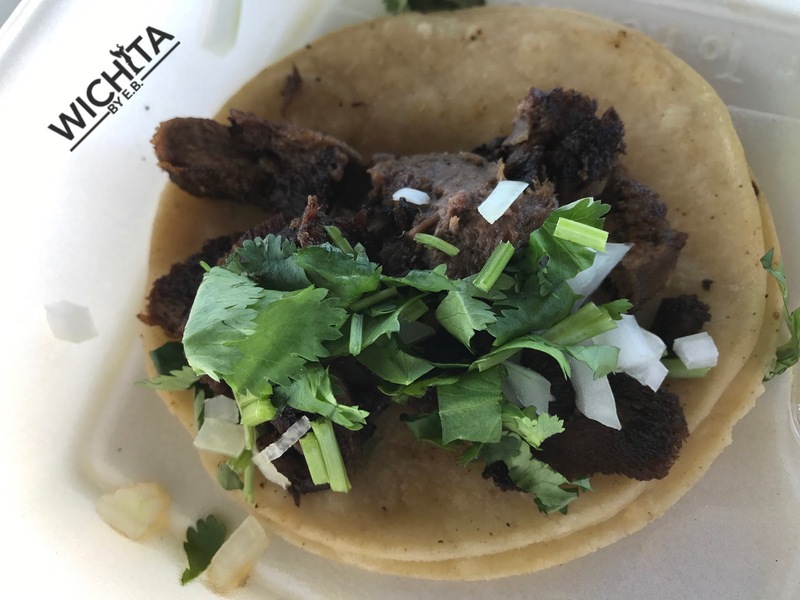 These were your basic street tacos with no additional frills. The salsa verde that accompanied the tacos were great. The heat level caught me by surprise later in my meal that I had to get a water. The double wrapped tacos all held well together and just made for an worthwhile drive and dinner. As you can guess by now, I loved the tacos. They were simple yet delicious. The tacos were 3 for $5 so great value and cheaper when compared to the competitors. Tack on the excellent service and you have yourself a fantastic addition to the food truck scene in Wichita. With Las Dos Costas at 28th and Broadway and Ricos Tacos El Torito (reviewed here) located at 17th and Broadway, those in the area are extremely fortunate to have some fantastic taco trucks. Between those two, I couldn’t decide which I liked more so I guess I’ll have to frequent both of them more to figure it out.